My father is a deeply rooted man. His roots run deep though his father and his grandfather before him. Roots that run deep, not only a connecting to family but a connecting to the land and the earth. My father is from a different period then I, just as he father and grandfather were before him yet each are connected, deeply rooted. Today, like a number of Sunday afternoons in the past, dad called me in the morning and said “come over for lunch and then we will go out to the “old home”. Going out to the old home is a deeply rooted experience for me for it takes me back to my roots, my dad’s roots and his father’s before him. 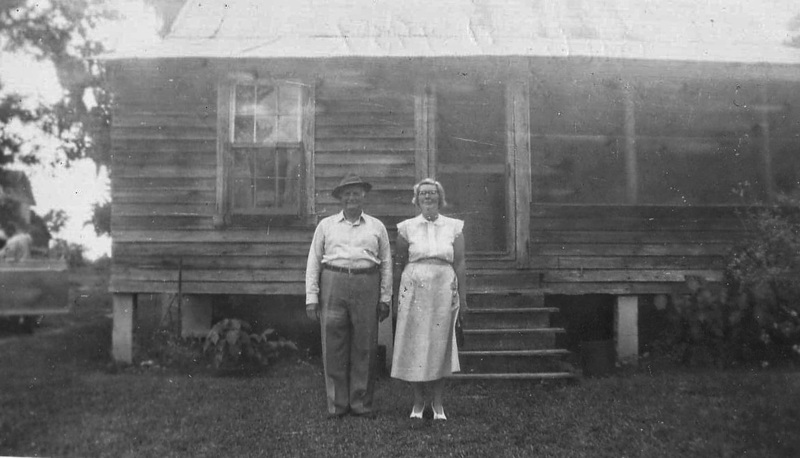 The “old home” is where dad grew up, out in the country with names not on any map like Flemington and Shiloh. As we travel down the country roads dad will point out who lived where, who was related to whom. That was aunt or uncle such in such, they married a Feaster, a Yawn or were related to a Dixon. We pass my dad’s grandfather’s house where his father and eleven brothers and sisters were raised, a grandson still living there. We pass by his grandmother’s house, no longer standing but still there in my memories. Then we come to the Old Home, where dad was born and raised, the home of my grandparents. We slow done and stop on the old road to look at the house and I look into my dad eyes and perhaps see a tear and I know he is remembering, old memories, deeply rooted memories of a time gone by. I quickly look away for my eyes also being to tear from my many fond memories of the times spent there. This is the feeling of being deeply rooted.